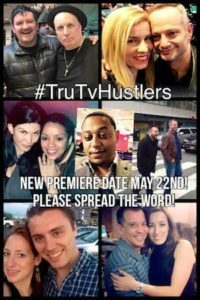 “The new premiere date is May 22nd instead of May 4th! It will run 10 weeks!” Emily Duddy, a pro player involved in tv show recently reported. “Thank you to everyone who has been spreading the word. The show is a HUGE opportunity for the sport of billiards to gain mainstream exposure. “Of course it’s going to be a TV show, so along with great pool playing it will feature big $ matches, characters & drama. Please tune in & give it a chance. “All the main cast members have been committed to pool for more than a decade, WE ARE NOT ACTORS! “If we can get all pool players & Fans to watch, along with rest of America, the show is sure to be a hit!